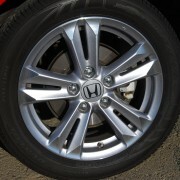 The automotive world changes so fast that most products lose their identity over an extended period of time. 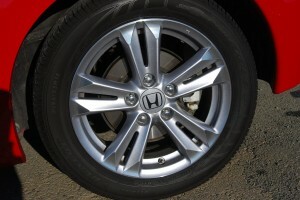 For example, the Honda Civic has morphed from a sub-compact to a compact, while the Honda Accord has transitioned from a compact to a mid-size sedan. But many Honda enthusiasts still long for the days when they could buy the sub-compact 2 seat hatchback called the CRX, a cult ride of the 80s that was a favorite tool for autocrossing. 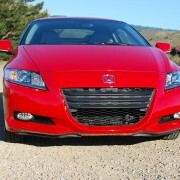 Although the CR-Z lacks the undiluted performance focus of the long gone CRX, it still channels enough of that car’s perky personality to warrant a close look from today’s bargain hunting performance drivers. 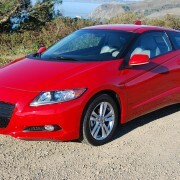 In keeping with the times, the CR-Z, introduced in 2010, is a hybrid that combines a 1.5 liter, 4 cylinder gas engine with an electric motor. In unison, the two sources of energy provide 122hp. 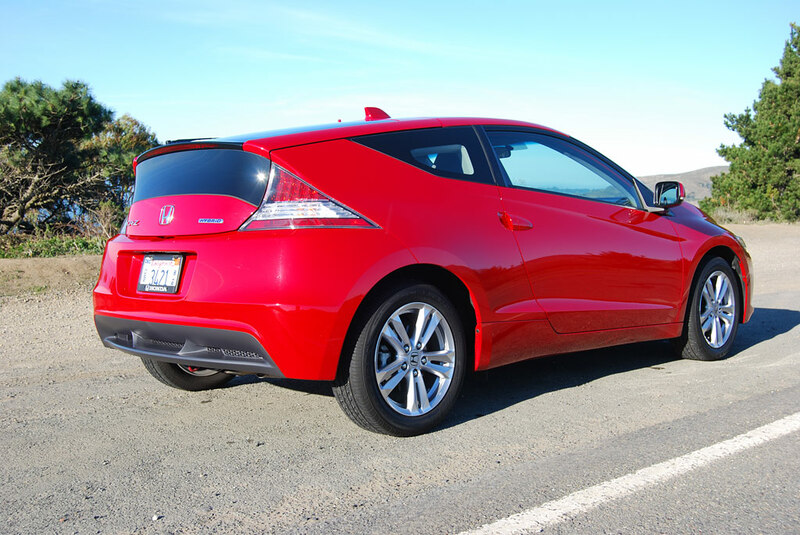 When you harness that output through a 6 speed manual transmission, you’ve got a lively package that closely mimics the acceleration of the old CRX. The shift mechanism is delightfully weighted and rewarding to use. 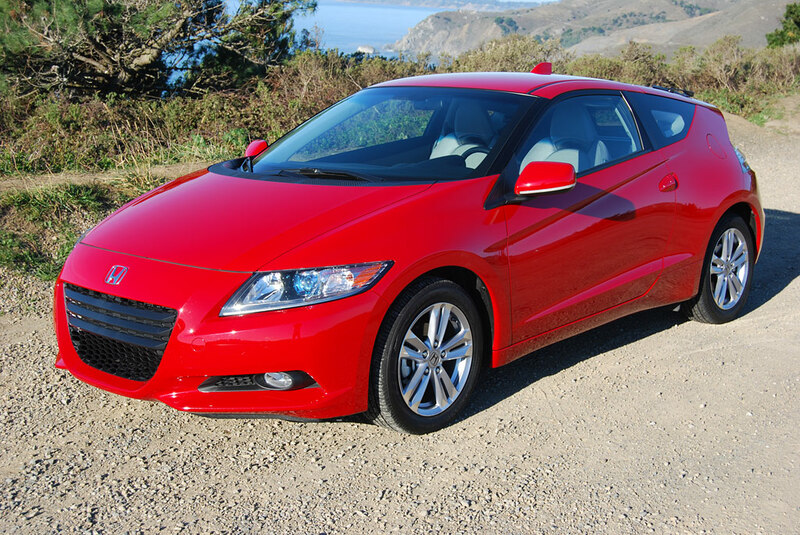 Although a constantly variable transmission is also available for the CR-Z, the belted gearbox kills any vestige of fun thanks to negligible acceleration. 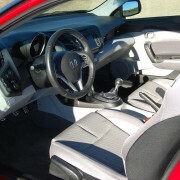 Inside the CR-Z cockpit, old CRX owners will feel right at home. The fat-rimmed steering wheel still seems directly bolted to the front wheels, providing feedback that is marvelously communicative. The seats are also superbly ergonomic, with racing style bolsters offering good upper and lower torso support. Behind the front seats, you’ll find a flip-down rear floor panel which hides a pair of sizeable storage lockers when lifted. The hatchback configuration eases access to the spacious rear cargo area, which can be hidden from view by a spring-loaded tonneau cover. Because the CR-Z sits on such a short wheelbase (95.9”), it’s virtually impossible to toss anything into the storage area behind the front seats without first flopping the seatbacks forward. 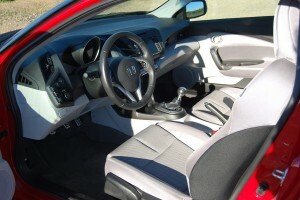 For more than 20 years, Honda has failed to fit its front seats with a device to restore the seatback to its original position. Due to this inexplicable oversight, you must reconfigure your seatback every time you want to slip something into the back storage area. Another gripe associated with the sleek hatchback configuration is poor rear vision. Looking directly back, you’re able to see, albeit somewhat darkly, through the smoked upper and lower third door panels. But rear side vision is so negligible that backing out of a parallel parking slot is much more of an adventure than it should be. 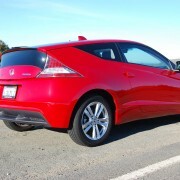 Unlike the original CRX, which came with adequately sized tires for its day, Honda has fitted the CR-Z with rock-hard 195/55R16 Dunlop Sport 7000 rollers which squeals at the slightest cornering provocation. 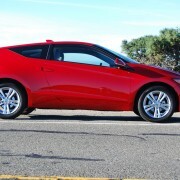 Since the CR-Z is softly sprung, the little coupe heels over as the Dunlops reach their howling crescendo. You can eliminate some of the body roll by selecting the “Sport” mode from the menu of setting options available from the dash. 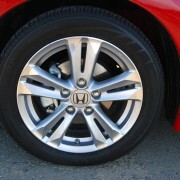 But the CR-Z’ handling would most benefit from upping tire dimension with a Plus 1 tire fitment. 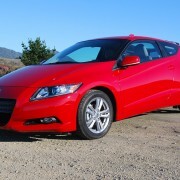 Despite these limitations, the CR-Z is a hoot to drive because the seating is so good, and the steering feels even better than that. 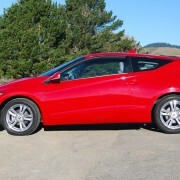 With six nicely spaced gears to select, and a slick shifter that operates like it was stolen from a Formula car, the CR-Z is fun to drive fast, in a manner that CRX junkies will recall with unmitigated delight. 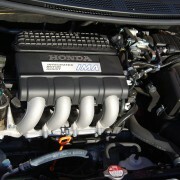 2007 Scion tC Review - OMG! So sik. Luvz it!